Now in our 33rd year, Nicola (that's me) and my team at Champion Caterers have been creating delicious, restaurant quality cuisine for many happy clients who have required a professional caterer for their special occasion. However we don't just provide the food. If you need crockery and glasses, staff or even a chocolate fountain, we have it all available for hire. Why are we called Champion Caterers? Originally we started working from Champion Cottage, near Storrington, West Sussex, but then moved to Wisborough Green where we fitted out a barn with our professional kitchen and refrigerated storage. The word 'champion' resonated as our reputation was spreading; we were and are, living up to our name of Champion Caterers in and around Sussex, Surrey and Hampshire. Our catering services encompass all scenarios, whether you are organising your wedding reception, a corporate lunch or an outdoor function, Champion Caterers offers flavoursome food, efficient staff, a chocolate fountain, crockery and glasses. Oh and we tidy up at the end, leaving the venue as we find it. We take on board the individuality each occasion requires and create bespoke menus according to your tastes and requirements. Whether you require nibbles and drinks, followed by a sit down meal or a fork buffet or even a bbq we will work with you. Desserts, drinks and any other tasty morsels can be created and served by myself and my Champion Caterers team. 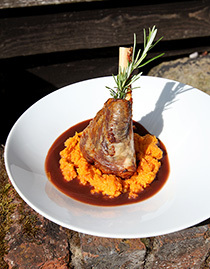 Our food is prepared and cooked in our professional kitchen using locally sourced produce wherever possible. 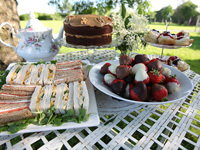 Champion Caterers is a friendly, helpful team that provides bespoke, varied menus, delicious, freshly prepared food, discreet, professional staff and all the equipment required for a well organised wedding reception, christening, dinner party, afternoon tea, birthday party or wake. 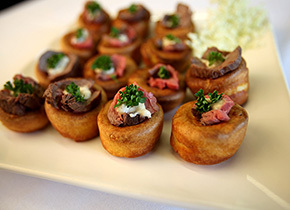 Champion Caterers will exceed your expectations. Please note we are registered with the local Environmental Health & Safety Agency and hold full public liability insurance. Champion Caterers has its own crockery, cutlery and glassware so there is no need to waste time sourcing these separately. We also provide the staff needed for the event. Not only that, but we work closely with a number of different venues and marquee companies in Sussex on a regular basis, so we can liaise directly on your behalf if you require. We understand the importance of making your day personal to you and the tiny details that really count. Champion Caterers has over 30 years experience so we guide you through getting the most from your budget and remove the stress from organising your big day. 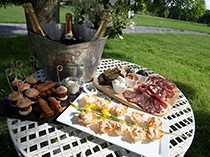 Champion Caterers' premises are located just outside Wisborough Green, West Sussex, in a purpose fitted barn. However as professional caterers, we come to you. 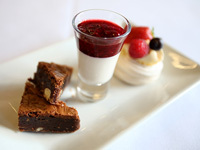 We cater for events all over Sussex and into Hampshire and Surrey. 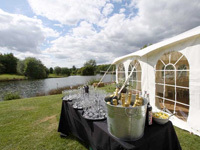 Champion Caterers can cater in a variety of different venues, from outdoor marques to local barns. Champion Caterers can take care of almost everything, not just food, so your day is stress-free. 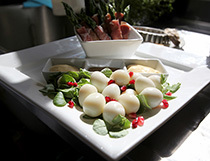 Champion Caterers have over 30 years of expertise and our own professional kitchen. 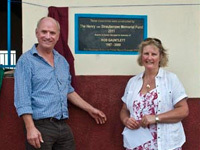 Fundraising for Nalango Secondary School in Uganda in memory of Rob Gauntlett. © 2014 Champion Caterers. All Rights Reserved. Website Design & Build by Brave Thinking.